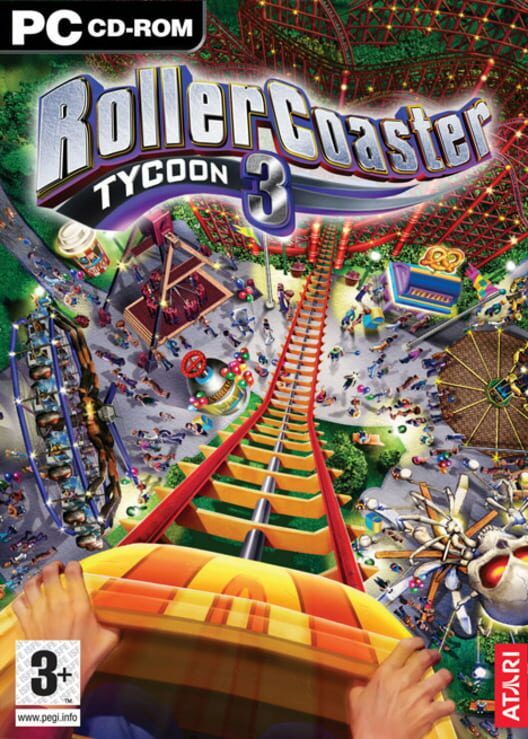 RollerCoaster Tycoon 3 is completely updated and redesigned to take the series to all-new heights. Featuring overhauled 3D graphics and the exclusive new Coaster Cam, you can now see your park from any angle and ride the coasters you build. From street level to blimp, see your park pulse with fun and excitement like never before. Features include an enhanced user interface, complete camera control, and the ability to light up the night with the new park lighting system. The game stars a huge array of diverse guests and you can even create your own family members and friends and add them to your park. Create pyrotechnic wonders with the new Fireworks MixMaster, build your dream park with unlimited funds in 'Sandbox' mode. Five themes are available: Generic, Spooky, Western, Adventure and Sci-fi.